Is she a beauty or not? Paula Diamond Roman Wow! That's a gorgeous plant. I am soooooo jealous of your sunny window sill! Eliza Blank Impressive...your cat hasn't tried to eat it yet? Kelly Wow! I have a tiny one - didn't know they could grow so big! 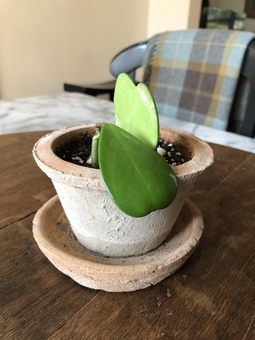 My hoya heart has started to show new growth (eek!). 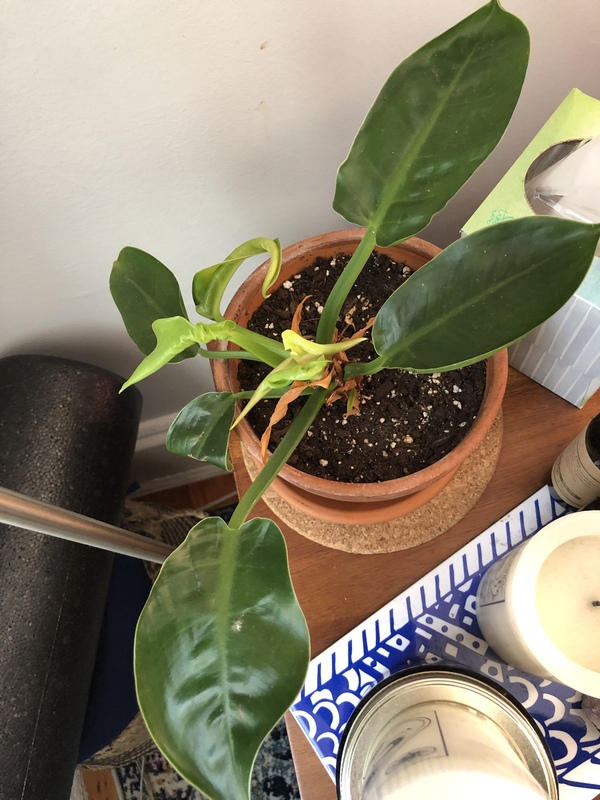 What's the best way to make sure I'm taking care of this properly so it keeps on growing?! jenna Congratulations!!!!!!!!! Now that it’s started to grow, it will continue to grow quickly. It just takes forever to begin. Don’t overwater, just continue as you’ve been doing. And don’t be tempted to go up in pot size too often. Hoya’s like to be in a snug pot. Mine took two years and now is a big viney plant. Enid Hernandez Congratulation! How long did it take? I'm hoping my hoya heart will grow. I hear it can take a while. 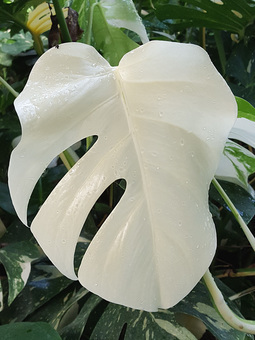 Brooklyn I've been searching for a variegated monstera! Wish The Sill sold it. Eliza Blank [279061,Christopher Satch (The Sill Plant Scientist)] do all variegated plants do this? 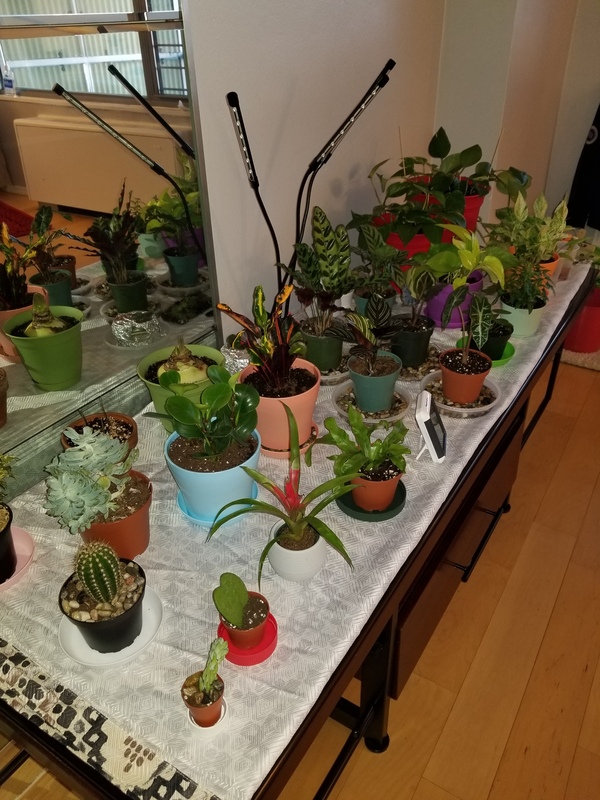 Plantaholic here to share my obsession & help! My name’s Gracie and I’m a new plantaholic. I got my first houseplant (in my current collection) last October, and have been building my plant collection ever since. These are just a few of my babies! I’ve learned a LOT the last few months and can now say with confidence that I have a decent green thumb! I’m here to share my plants with you guys and to help with troubleshooting, identification, etc! Erin Oooo Gracie where are your plant stands from?! Love them. 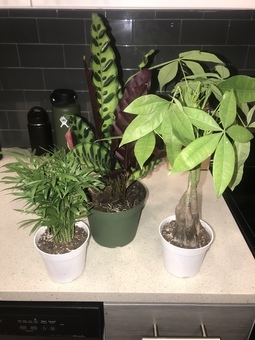 Just bought three new plants for my apartment from The Sill! Giving them time to get acclimated to their new home before I repot them! Is it weird that I named them? Celia Skelton What is the cute little tree on the right? Julia Ramirez I love naming them!! Yours are so pretty! It finally bloomed! I’m obsessed. I’ve taken so many photos haha! 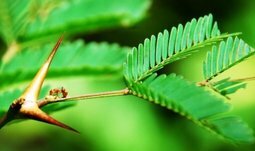 I have never been so inspired by a plant. Oof! 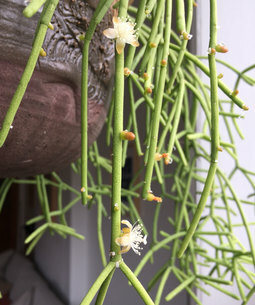 Here’s an article I thought you might find interesting about Philo blooms. 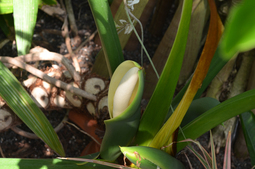 Our philodendrons are in bloom! Learn more about how they reproduce and what makes them so special. Subscribe to the Lewis Ginter Botanical Garden Blog. Look at these white lines, painted by mother nature! 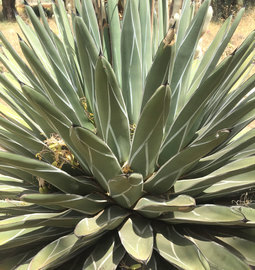 Growing at a cactus farm in Morocco, but I forget her name. Anyone know? I've finally had good lighting to gather together my three prayer plants to take a nice picture of them to share. 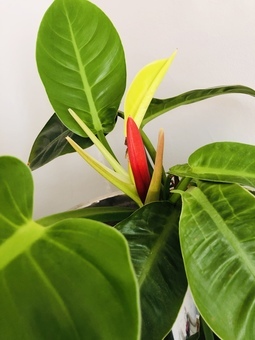 One I ordered from houseplantshop on etsy (the yellow/white vein variety... I forgot what exactly they call it) and the other large red one I got from my local grocery story very over-watered (my guilty obsession is grocery store plants I know aren't doing well lol.) The small red prayer plant hiding next to them I got from my local nursery. I was someone who was more into smaller plants when I first got these and they have slowly crept and took over. Crazy how big they can get when they are happy! what other plants do you have? Curious to know if they are all this happy! Erin Wow these are gorgeous! Do you do anything extra to keep humidity high? I don't see crispy tips - so jealous. Great new growth on my moonlight philodendron. 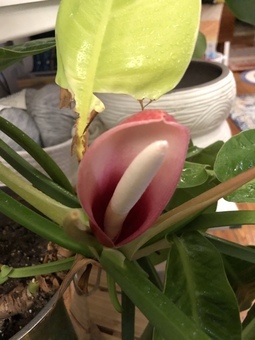 It’s never bloomed for me before! I’ve found this to be a very rewarding plant to care for. The neon leaves are so satisfying to catch peeking out! Highly recommend! PlntNrd Ooooh, so beautiful! I just bought one a few days ago, I can’t wait for it to come!! I read that you can give your plants fertilizer year-round if your plant is actively growing even in the winter time. Have you tried? Lizzie And this is a baby one that propagated itself a year ago and is also doing well. Never seen this before! Also recently learned a couple other things about this plant: Despite the name it's actually a euphorbia, a succulent, and not a cactus. If it starts off trailing (like mine) it will stay that way, versus growing into a tall plant. The clear sap that pencils produce (the little bubbles on the stems) is toxic and can give you a bad rash. Beth The sap can also cause anaphylactic shock and more sunlight reddens the cactus making it look orange. I haven’t bought one of these myself, but dang those flowers are really cute! Has anyone tried putting Marimo moss balls with their fish? My beta seemed happy about it and enjoyed the company (at least I thought so 😅). What other plants can I put in the water, too? Paris Lalicata I know they sell aquatic plants for aquariums at pet stores or maybe even a pet smart. Try looking for some there!! 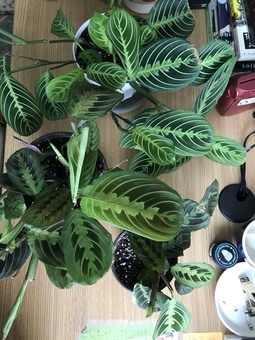 Anyone else out there love calatheas and struggle to not buy every single kind??? The next on my list are ornata (pinstripe) and white fusion. My local nursery always has a million pinstripes, but I ran out of room on my plant shelf and am on a no buy until spring. PlntNrd Wow!!! 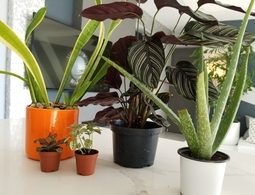 Your Calatheas look very healthy and happy in your home. 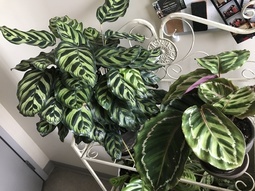 If you look through this, and any other, plant forum, you’ll see lots of posts about browning, dry leaves, and various other issues with fussy Calatheas. You should be very proud of how happy and stunning yours look. Really beautiful!! !